The thing is, I'm not first-and-foremost a blogger. 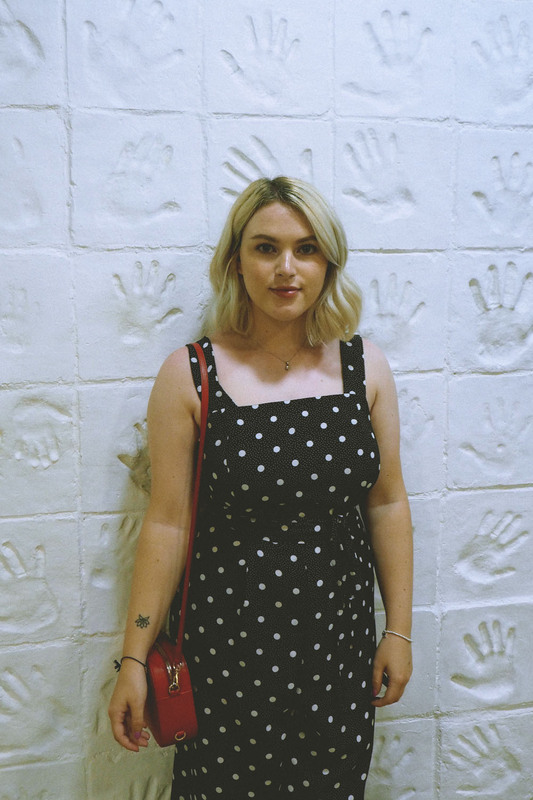 I'm just a girl (standing in front of a boy... kidding) who goes to university and has a part-time job and really loves clothes and blogging. I'm also not made of money. I'd rather shop in Topshop or Zara over Primark, yes, but I just can't drop hundreds of pounds on regular hauls, for new content. I'm also the kind of person who can't place an order immediately. I find myself mulling over an online basket for at least a few days before clicking checkout. I get really annoyed at myself when I buy something that I don't use or wear, and so I just don't buy things all the time, instead pondering over clothes or makeup for a while. The general rule is that if I keep thinking about something for days, then I'll buy it. I don't buy clothes to blog about them, I buy them because I want to wear them. There have been times where I've thought, 'ooh, I'd love to photograph this,' sure, but it's never the first thought. Look, I get it. It can be boring to see the same outfit over social media again and again. It can be annoying if you like a top and you can't buy it because it's been sold out for two years. But that's real life. As I'm writing this I'm wearing the jeans I bought three years ago, and I'm not going to throw them away because they're old. They're in perfect condition and comfier than ever, and isn't it a good thing as a reader to hear that there are high street jeans that will last that long? Take this outfit photographed for example. The jumpsuit was bought a few months ago, and it isn't available online anymore. The bag is currently sold out in this colour. The shoes are sold out. I'm wearing the jewellery that I wear every single day. Also it being October now means that the outfit isn't really seasonally appropriate anymore. But it's real. 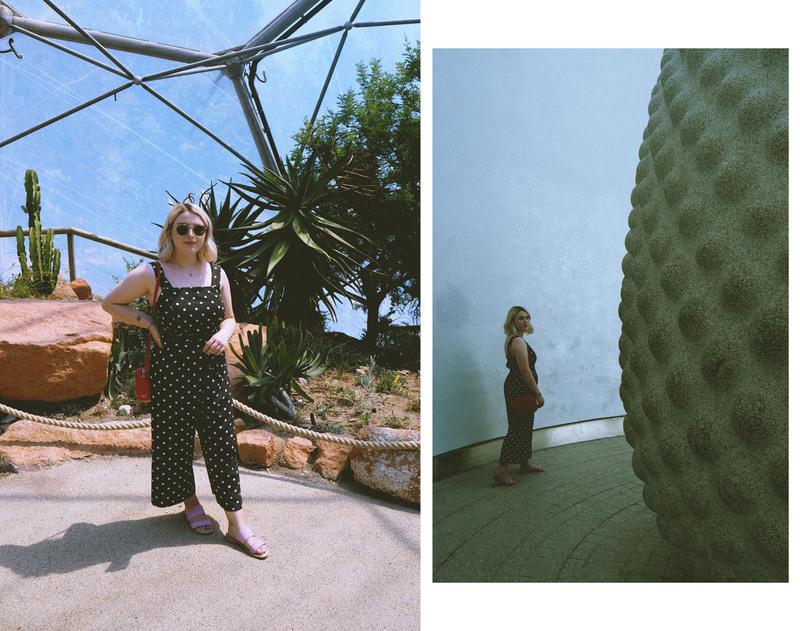 No, I don't prance around in humongous greenhouses every day, but was on holiday, in a comfortable outfit, and took a few minutes of my time there to take some photos. I love this outfit! 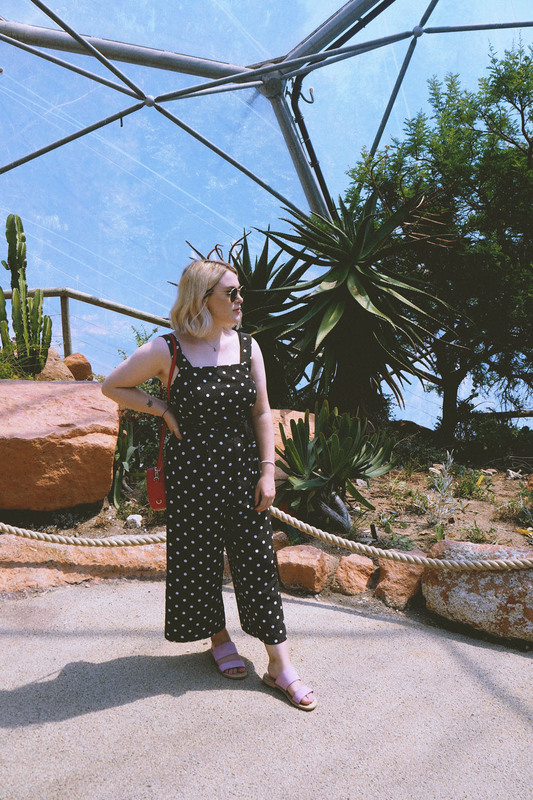 The jumpsuit is one of my absolute favourite items of clothing in my wardrobe, as it fits me really well and is so versatile. 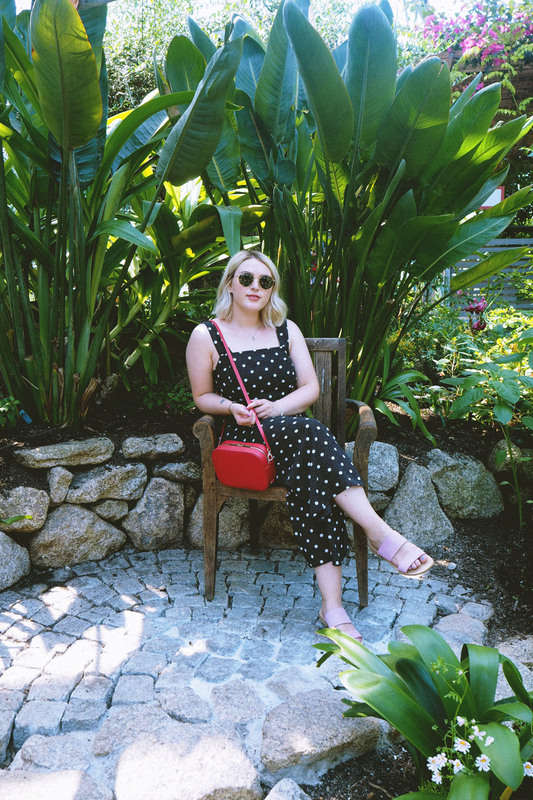 The bag is my only designer purchase, and one I treasure every time I wear it. Even though they aren't available right now, the jumpsuit and bag are items I get Instagram comments and messages about whenever I post them. There isn't anything wrong with buying new clothes, but it isn't sustainable doing it all the time. We all fall into the trap of fast fashion from time to time, but it is important to remember that not every purchase is necessary. 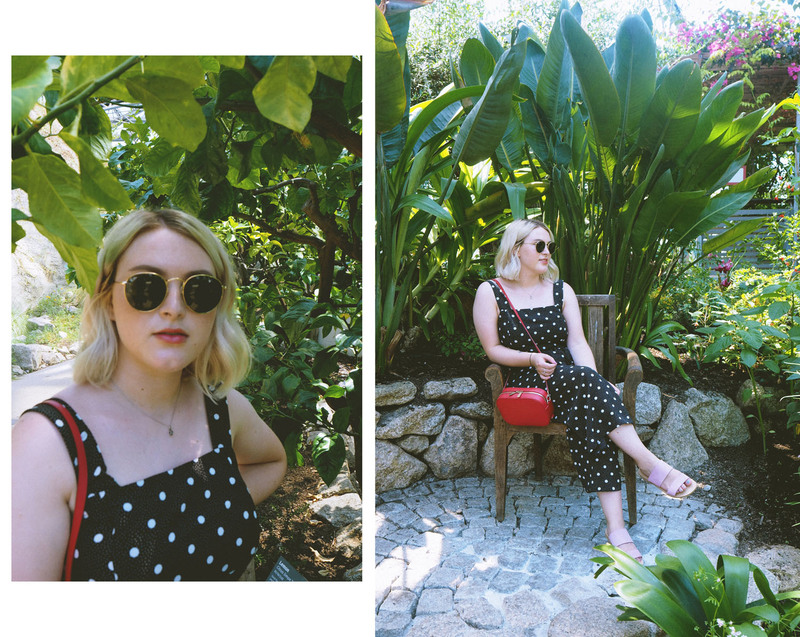 Trends come and go, and it's so fun to embrace them if they're your style, but endlessly consuming throwaway items is ultimately a waste of money, and it's something I try hard not to do. I'm know I spend more money on clothes and makeup than some people I know, but I'm also a good saver and I know what I like to spend my money on, and so I budget for that. Sometimes that means splurging a little on a winter coat, and sometimes that means not buying anything new for a month, or waiting until there's a bigger student discount going. Waiting for discounted events like sales means I'm not always first to post an item online, but to be honest, that's not a concern of mine. I just want to own clothes that I love. We all have purchased a new dress for a night out despite owning a bunch already, because we don't want to be seen in the same outfit over and over. And I get that, I do. But I've been trying to teach myself out of this. 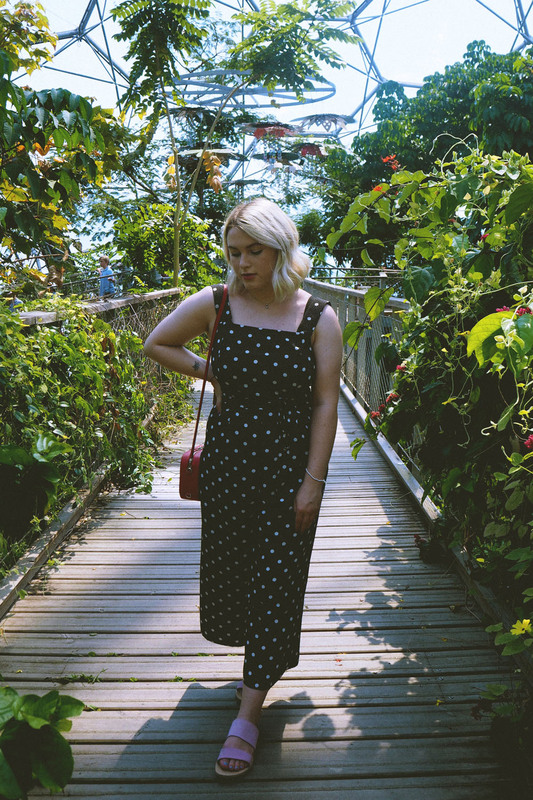 When I bought the jumpsuit pictured, I knew I was going to wear it to a media event at uni. I had the outfit in mind for the night, all dressed up with heels and my ~fancy~ bag. But because it's black and white, a simple shape, and super comfortable, I knew it could become a go-to outfit. No one cares if you wear the same item, or even the entirely same outfit, again. If you love it, there is no reason for not wearing it whenever you get the chance. The other thing is, I could also picture it as a casual piece. I could imagine wearing it with trainers, or with a tee underneath, or with a denim jacket. It's something I try and do with every item I buy, questioning whether I can wear it for more than one occasion, rather than buying it for one night and tossing it away. Obviously there are exceptions, like super fancy items that you'll only wear once in a blue moon, but it does apply for the majority of my wardrobe. To be honest, and this is the biggest factor for me when it comes to recycling outfits, I really like when bloggers re-wear clothes. I believe it's the biggest sign of someone being authentic online. It's also fun to see how they can style up the same item in multiple ways, like for different events or seasons. It is just so unrealistic to wear something brand new every day. It applies to makeup too. Most of my makeup collection is actually formed of products which I had seen people talking about repeatedly, like Anna with the It Cosmetics Your Skin But Better CC Cream. Some of my favourite makeup isn't available anymore because it was limited edition. I'm not very adventurous with it either - I basically use the same base/brow/mascara combination and change my eyes and lips depending on my mood. Does that make me a bad blogger? I just see a person who has found the 'holy grails' which we are all searching for. It doesn't mean I won't try new things, but when it comes to sharing products online, I want to write about the ones that I would genuinely share with my friends. I titled this piece Am I a Bad Blogger? because this is such a consumer-based industry. But I believe there is more to blogging than money. 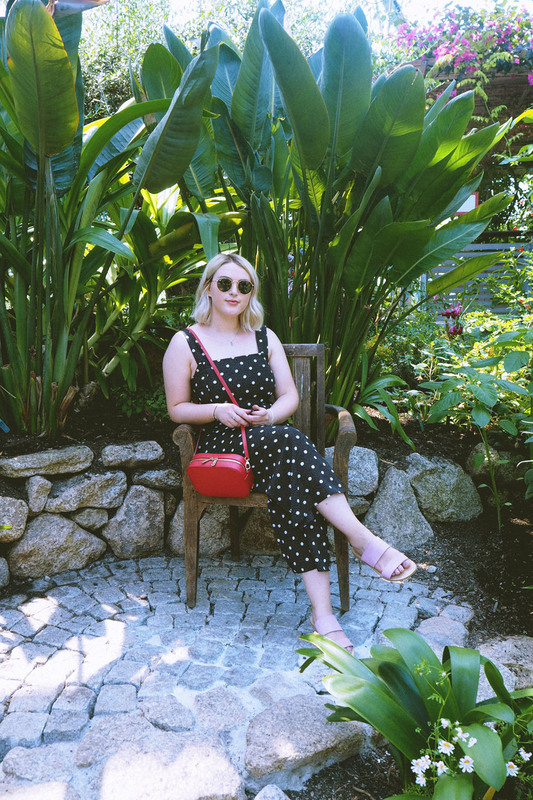 I love reading about a new purchase, of course I do, but the reason I keep returning to a blog or Instagram feed is because I trust that person's sense of style and love to see them wearing the clothes they love. Blogging began as a method of sharing the things you love just because. 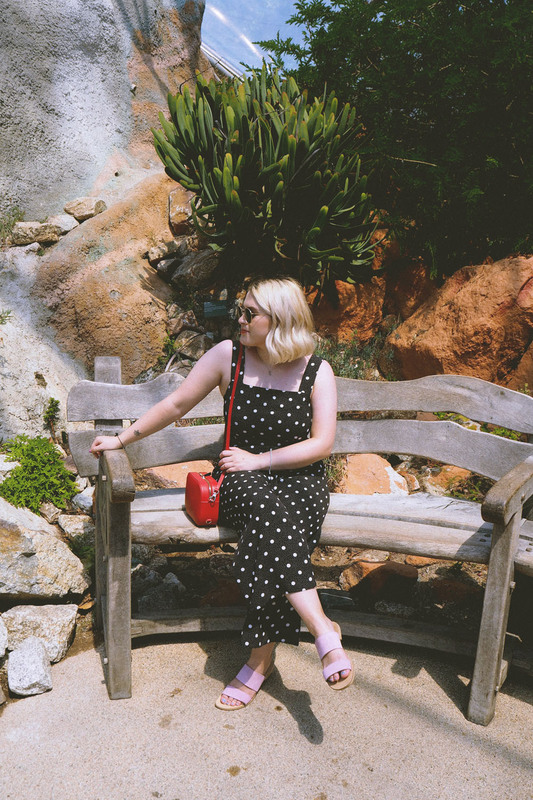 One thing that I think is often forgotten is that (at least in my mind) a blogger isn't simply a mannequin wearing an outfit ready for you to buy. 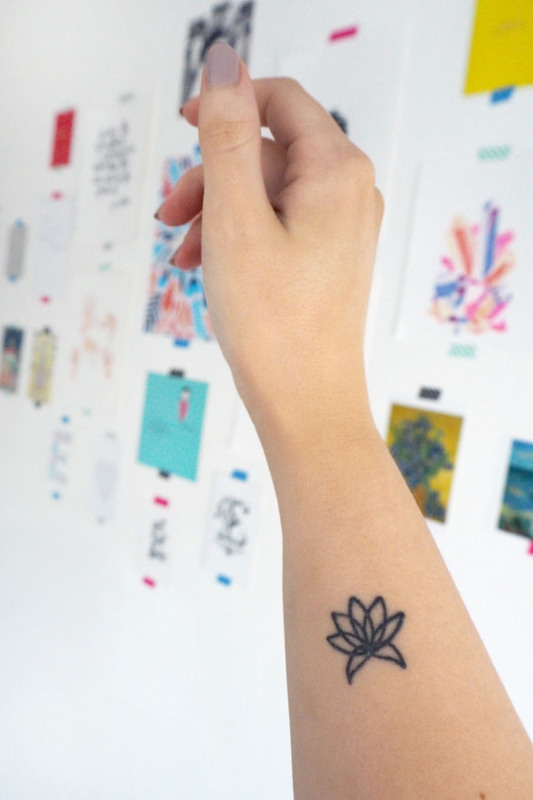 They can be inspiration. 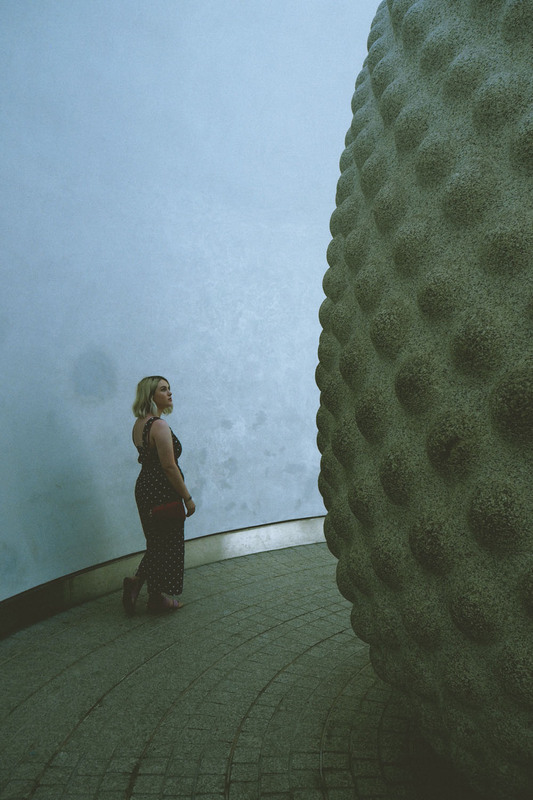 An Instagram photo can spark an idea for me, whether it's a new colour combination to try, or something as simple as remembering that actually, I've already got a pair of trousers that I could wear like that. 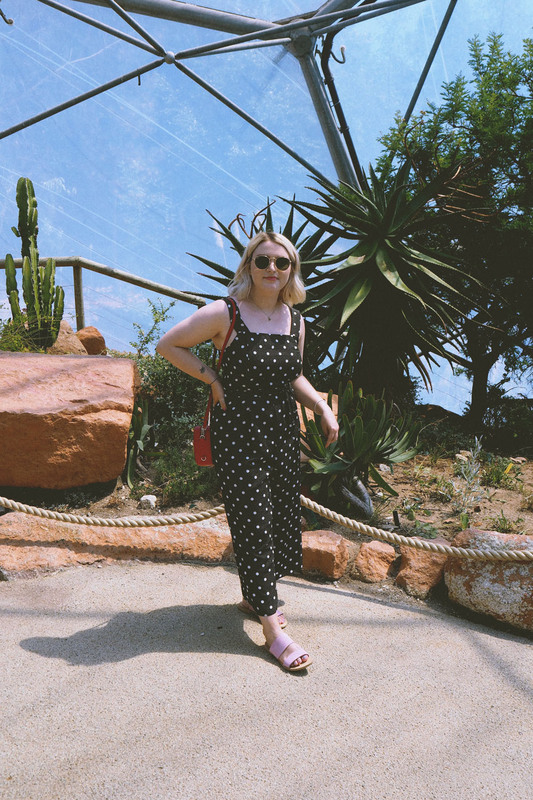 Blogging doesn't always have to be about spending money, but instead about shopping your wardrobe and inspiring you to wear your existing clothes in new and exciting ways. This isn't a call for bloggers to stop shopping - we all know it's going to keep happening, because it's fun to share. But I think it's something worth talking about. Outfit repeating isn't some embarrassing faux-pas, it's a sign that you love your personal style.